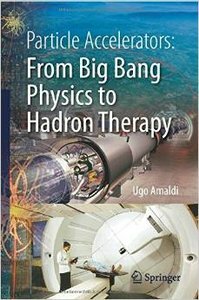 Rather than focusing on the contributions of theoretical physicists to the understanding of the subatomic world and of the beginning of the universe - as most popular science books on particle physics do - this book is different in that, firstly, the main focus is on machine inventors and builders and, secondly, particle accelerators are not only described as discovery tools but also for their contributions to tumour diagnosis and therapy. The characters of well-known (e.g. Ernest Lawrence) and mostly unknown actors (e.g. Nicholas Christofilos) are outlined, including many colourful quotations. The overall picture supports the author’s motto: “Physics is beautiful and useful”. author of "LEP - The Lord of the Collider Rings at CERN"